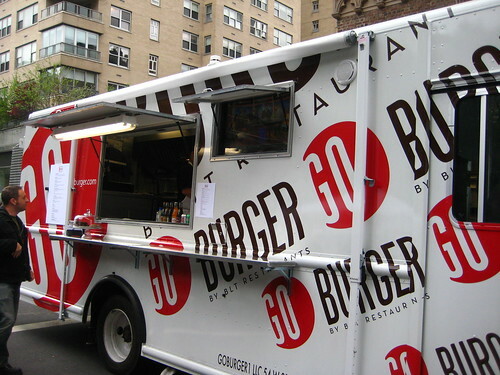 The Go Burger Truck hit the streets about a month ago, and I promptly visited it during its grand opening weekend, but I wasn't sure how the truck's schedule was going to work out or whether I should even tell you about my dismal experience. Was it going to roam much? Would it only be working street fairs? 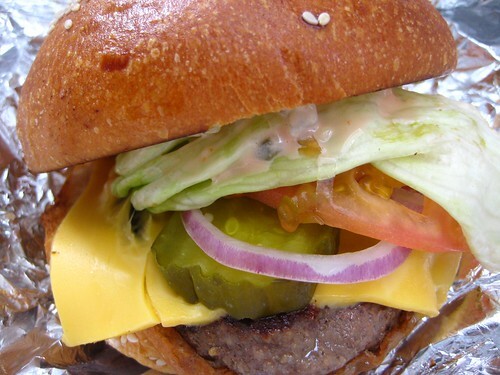 Was this burger worth seeking at a street fair? Was it anything like my dinners at BLT Burger? The Go Burger truck is run by the BLT Restaurant Group, but after Chef Laurent Tourondel split the company with Jimmy Haber. These burgers are from Jimmy Haber's side, and, from what I understand, this is just a warm-up to a few brick-and-mortar burger places. The truck will only be working street fairs, with locations being tweeted. One hopes that the burger joints will be better than this burger. I really want to chalk up some of the issues I had to the simple fact that it was cold out and it being the first weekend, but the more I think about this disappointing meal, the less I think the weather had something to do with it. I ordered a simple Classic with cheese and fries. I waited a few minutes for my order, excited to eat my lunch. 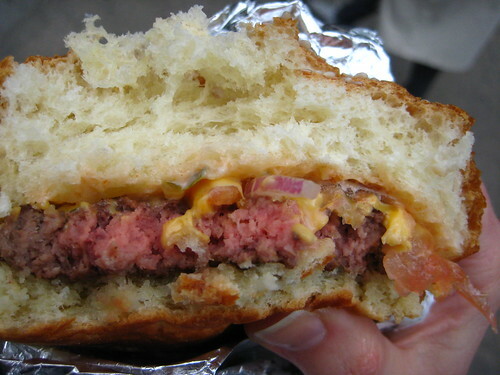 First bites revealed a cold, medium rare, virtually tasteless meat patty. The cheese isn't even melting, it's sitting there plastic and droopy. Fail. I threw it out after three bites. 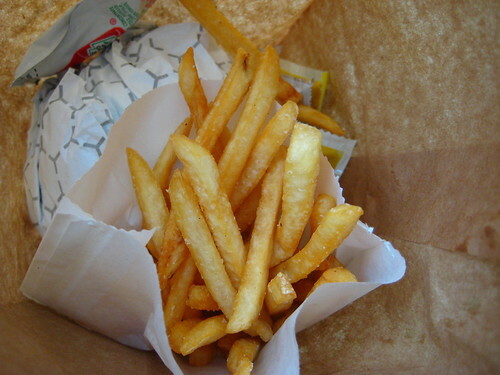 Fries must be better, how can you go wrong with fresh French fries? Except when they're cold too and lacking salty bits. Yes, oil needs to be nice and hot to make nice and hot fries. The oil must not have been nearly hot enough. Would I seek this truck out? That's a definitive no. I'm willing to try it again should I come across it at a fair, but I'm not traveling out of my way for any underwhelming piece of meat. And it nowhere near as delicious as the burgers Brownie and I have shared at BLT Burger. Shake Shack, your place in my life is secure.